So it seems that the iPad doesn’t suport having both the front and back camera capturing data at the same time. This really puts a halt to our proposed 3D interaction. Fortunatly, there are some cool people doing work in our same area and have posted a neat solution that we can take advantage of. Now instead of using vision to determine where the slingshot will be launched we will use these stretch sensors instead. 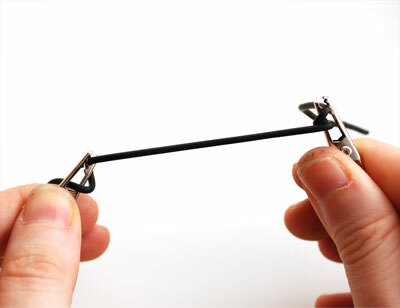 These awesome sensors are made from conductive rubber and change resistance as it stretches! This will allow us to have position determined through mechanical means instead of using the front camera. Now the only thing that we need is a way to transmit the resistance measurements to the iPad. Enter Redpark, a development company which has a cable that connects an arduino to the ipad. 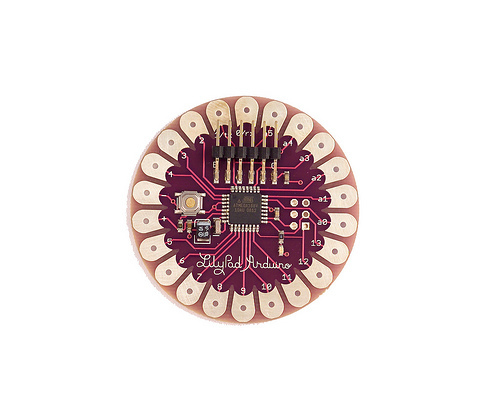 We will use a lillypad arduino to perform all the analogue input reading. We chose this sensor because it is very thin and will be less encumbering to the user / case space. This will connect and be powered by the iPad via the Redpark cable. The stretch sensor attaches to the case so that it can detect the release from any quadrant of the ipad face. We think the best way to do this is by having 4 pieces of the rubber sensor. By knowing the lengths of each leg we can determine the relative position of the user’s pinch and release.